Cutting Hedge Richmond Garden maintenance based in south west London offers weekly, fortnightly and monthly garden maintenance and gardening services. 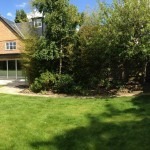 We offer both residential and commercial garden maintenance and provide honest, reliable and friendly gardeners. If you prefer a one off gardening service we can accommodate you with one, or any of our many gardening services. Cutting Hedge based in London offers a complete professional garden maintenance package, some other areas in Richmond we cover include: Barnes, East Sheen, Fluwell, Hampton, Kew, Mortlake, Petersham, St Margarets, Strawberry Hill, Teddington, Twickenham and Whitton.